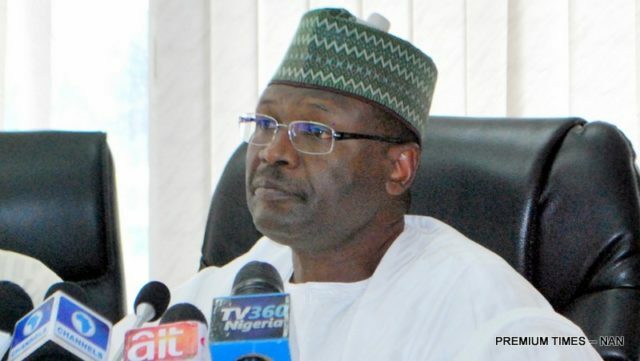 The Independent National Electoral Commission (INEC) has said that it has no plan to postpone the 2019 general elections. INEC in a statement by its Chief Press Secretary, Rotimi Oyekanmi dismissed reports saying “We May Shift 2019 Polls Over Threat Of Violence – INEC “, he claimed that the chairman of the umpire, Prof. Mahmood Yakubu was quoted wrongly at the Inter-agency Consultative Committee on Election Security (ICCES) meeting that took place at the Commission’s headquarters on September 11, 2018. “It is common knowledge that the Osun State governorship election will hold on Saturday 22nd September, while the 2019 General Elections are only 156 days away”. He explained that the ICCES meeting, which takes place on a regular, quarterly basis, provides an opportunity for INEC and security agencies to evaluate and discuss the country’s security situation, with the aim of putting the necessary measures in place to enable the Commission to carry out its mandate. Mr Oyekanmi noted that the INEC boss during the meeting told the security chiefs that with the 2019 general elections drawing close, the Committee would need to meet more frequently to constantly assess the security situation across the country and take proactive actions to forestall any unpleasant event before, during and immediately after the elections. He underscored the fact that elections cannot be conducted under a rancorous atmosphere. 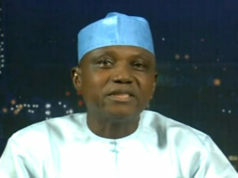 He referred to Section 26 of the Electoral Act which, among others, gives the Commission the power to postpone an election “if there is reason to believe that a serious breach of peace is likely to occur and the election is proceeded with on (the fixed date)”, or as a result of natural disasters or other emergencies”. According to him, Prof. Yakubu made the reference to the Electoral Act only to emphasise the importance of having peace and order in place before, during and after elections, and the significance of the synergy between the commission and security agencies. He mentioned that the most important assignment before the Commission was the Osun governorship election, noting that the Resident Electoral Commissioner (REC) for Osun State, Mr Segun Agbaje and Commissioner of Police for Osun state, Mr Fimihan Adeoye would brief the Committee on the current situation and state of readiness for the governorship poll. (Both Agbaje and Adeoye later briefed the audience). On vote buying, Prof Yakubu spoke on the need for collaborative effort to decisively tackle the menace and prevent it during the Osun governorship election. 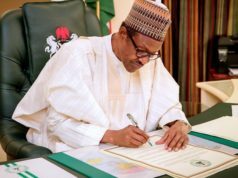 He said a Code of Conduct for security agents would be enforced during the elections and warned that any activity outside the confines of legality/ legitimacy will be viewed seriously. The INEC boss also seized the opportunity to draw the Committee’s attention to a video clip making the rounds, in which some political actors were seen making inciteful statements that could lead to serious security breaches before, during and after the 2019 general elections. He called on the relevant security agencies to be vigilant, just as he urged them to take immediate action on the development. He commended members of the Committee for their cooperation, which makes it possible for INEC to conduct credible elections. Mr Oyekanmi said “It is thus clear that at no point during his remarks did the INEC Chairman allude to the notion that the Commission may shift 2019 polls over the threat of violence” as reported.